I am now doing research on optimizing hull designs on preliminary design stage. I am trying to run the CFD by coupling CAESES with ANSYS. I would like to have some help on journals/papers/codings that are much specifically heading towards integrating both software to do a ship/hull optimization only. Really need some advice asap. Thank you. Can you be more specific? Are you planning to use the ANSYS workbench platform or the softwares seperately? Which mesher are you planning to use? I am planning to use the the ANSYS workbench platform. Using CAESES as a design viewer for the optimization done in ANSYS. I will be providing an example case here as soon as possible. 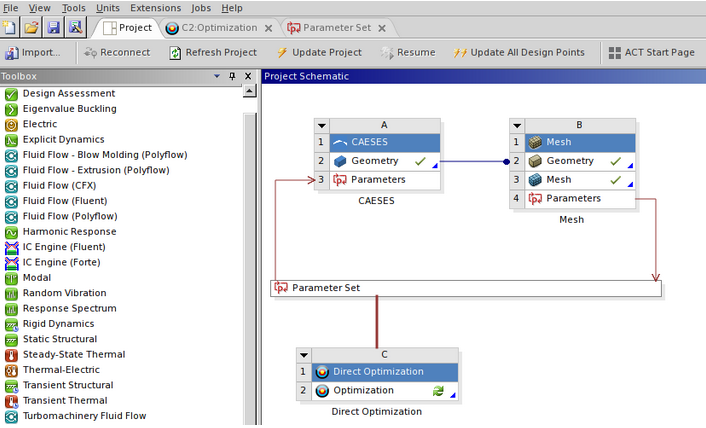 Note that there is the possibility to integrate CAESES as an add-in in ANSYS. In this setup, CAESES is run in batch mode in the background. We are working on this, just get in touch with us directly if you are interested in it. I wouldn't mind to serve as a guinea pig on this. The latest version of CAESES comes with a detailed tutorial about the ANSYS integration. There is a PDF document plus a HTML help which describes how it works. The app (for adding CAESES to the ANSYS WB) is also shipped with the installation package.